Calf Tube Weldment - Chardon, Ohio-Chardon Metal Products Co. Since our founding in 1945 as a screw machining company, at Chardon Metal Products Co. we have expanded and diversified our capabilities to better serve the needs of industry. 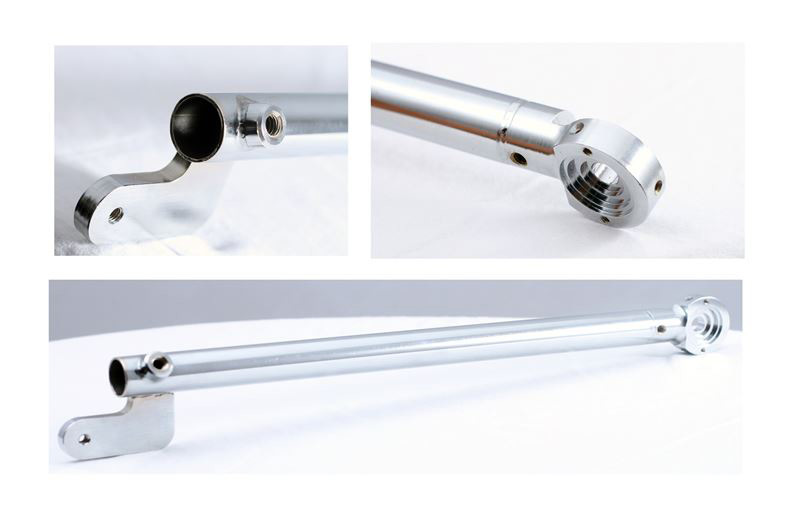 We utilized many elements in our present day portfolio of services to manufacture the medical tube assembly highlighted here. With our comprehensive skills mix, we provided a manufacturer of medical rehabilitation equipment the convenience and cost advantages of having this item delivered as a complete subassembly for one of their products. Measuring 12.5" in length and featuring a 20 Ra finish, we constructed this calf tube weldment using ¾" diameter carbon steel tubing. Production leveraged many of our capabilities, including tube fabrication, multi-spindle screw machining, precision CNC turning, and milling, as well as welding and assembly. Once the parts were fabricated and assembled, specifications called for a chrome-plated finish. We also managed this process, ensuring the assemblies were properly cleaned and then plated to the desired thickness. As an ISO certified company, we followed a defined set of manufacturing and fabrication procedures, which incorporated comprehensive quality assessments of the individual components as well as the final subassembly. Test and inspection involved the use of instruments such as profilometers, height stands, calipers, and more to assess the dimensional accuracy and overall product integrity. We examined all surfaces to ensure they were completely free of flaws or defects that could compromise the stringent cosmetic requirements or impact performance or service life. Having the right blend of skills played an important role in delivering this calf tube weldment to the customer on time and on budget. The client is very pleased with the quality, and we continue to manufacture them in the thousands. Contact us today to learn more about how our comprehensive mix of capabilities can benefit your next project. CMP's unique mix of in-house capabilities all used in providing this assembly. 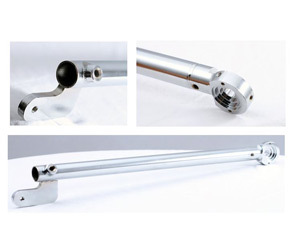 (CNC turning, CNC milling, Screw Machine, Tube Fabrication, Assembly (Welding), and managing the Chrome finish process.